Nice Chopper Grips with soft foam grip and chrome end caps. 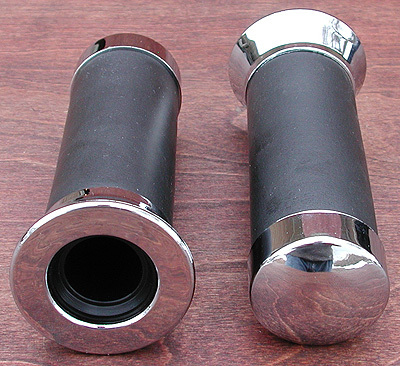 Fits standard 7/8" end handlebars. 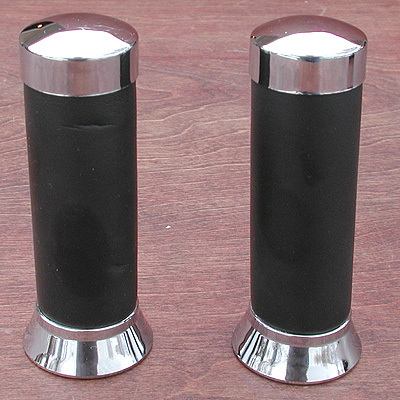 Nice look and performance for your vintage bicycle restoration or custom chopper project.